What: A call for art and article submissions on Health/Care for the 2019 Certain Days: Freedom for Political Prisoners Calendar. The Certain Days: Freedom for Political Prisoners Calendar collective (www.certaindays.org) is releasing its 18th calendar this coming fall. The theme for 2019 is ‘Health/Care,’ reflecting on the overlapping topics of health, care/caring, and healthcare. We are looking for 12 works of art and 12 short articles to feature in the calendar, which hangs in more than 3,000 homes, workplaces, prison cells, and community spaces around the world. 1. Send your submissions by May 18, 2018 to info @ certaindays.org. The Certain Days: Freedom for Political Prisoners Calendar is a joint fundraising and educational project between outside organizers in Montreal, Hamilton, New York and Baltimore, with three political prisoners being held in maximum-security prisons in New York State: David Gilbert, Robert Seth Hayes and Herman Bell. The initial project was suggested by Herman, and has been shaped throughout the process by all of our ideas, discussions, and analysis. All of the members of the outside collective are involved in day-to-day organizing work other than the calendar, on issues ranging from refugee and immigrant solidarity to community media to prisoner justice. 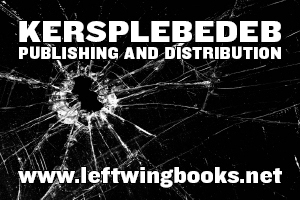 We work from an anti-imperialist, anti-racist, anti-capitalist, feminist, queer and trans positive position. Currently, at most facilities, family and friends can drop off packages at the front desk when visiting- packages that include fresh fruit and vegetables that supplement the high carb/sugar, meager diet provided by DOCCS. 1) Packages can be ordered only from approved vendors. 2) Fresh fruit and vegetables are not allowed. 3) Family and friends cannot drop off packages while visiting. All packages must be shipped through the vendor. 4) Each person is limited to ordering three packages a month for him or herself and receiving three packages a month from others. Each package cannot be more than 30 pounds. Of the 30 pounds per package, only 8 pounds can be food. 6) There are far fewer items allowed than before and of the items that are allowed, far less variety. This includes additional restrictions on clothing. 7) Groups like NYC Books through Bars, Inside Books Project, and South Florida Prison Books will not be able to send free books to the 52,000 people in the NYS prison system. The pilot program implements an “approved venders only” package system. This means that only packages from approved vendors will be accepted. The vendors appear to be companies that specialize in shipping into prisons and jails. There are currently five approved vendors identified on the DOCCS website. This amounts to a cash grab for these companies. The pilot program is starting at three facilities: Taconic, Greene, and Green Haven. Those facilities stopped accepting packages from non-approved vendors on January 2, 2018. We have to make this package directive unworkable. These new rules are cruel- eliminating fresh fruit and vegetables and creating massive profits for the vampire companies that will fill the niche. WE CAN ORGANIZE TO ROLL THESE RULES BACK. 1-Sign the petition- share it with your address book, share it on Twitter, share it on Facebook. It takes two seconds. 2-Get in touch with your people in NYS Prisons and let them know about this new policy. 3- Flood the electeds with postcards. Send one to Governor Cuomo and one to Anthony Annucci, the acting commissioner of DOCCS. It costs 34 cents. Prisoners should have access to fresh fruits, vegetables and other support from their families. I object to the new DOCCS package rules. The new DOCCS package pilot punishes innocent families. Having a loved one in prison is already expensive and difficult—the new rules make it worse. Rescind the package pilot! 5)Call Cuomo’s office and leave a message about it. You won’t have to talk to anyone. Just leave your message. As of December 28, 2017, Jaan K. Laaman, long-time anti-imperialist political prisoner, has been transferred to USP McCreary in Kentucky — after being held in segregation at USP Tucson for over 270 days — over 8 months. Please write Jaan at his new address right away so he feels the love. We want the prison to be aware that he is supported by folks and we have his back. Jaan was threatened with transfer to a Communications Management Unit (CMU) because of these statements. Jaan’s pro-bono attorney, Paul Gattone filed a lawsuit challenging the attempt to transfer Jaan to a CMU. Paul is a people’s lawyer who practices in the areas of civil rights and criminal defense, and an owner of Revolutionary Grounds infoshop in Tucson, AZ. Jaan is a Freedom Fighter and Must Come Home! Preventing Jaan from being transferred to a CMU was the first goal. Jaan is an Elder (69 years old) and needs to be brought home. Jaan should be home with his siblings, family and loved ones. Jaan is a freedom fighter who was convicted of actively fighting some of the worst crimes against humanity in recent history–US backed atrocities like apartheid in South Africa and genocidal wars in Central America. Jaan is a lifelong anti-racist and anti-imperialist. We need his vision and voice at home now more than ever. This work to bring Jaan home will be led by Jaan and folks on the outside that Jaan identifies to lead up this effort. Please let us know if you would like to help in this effort. Jaan and all political prisoners must be brought home and we can make it happen! 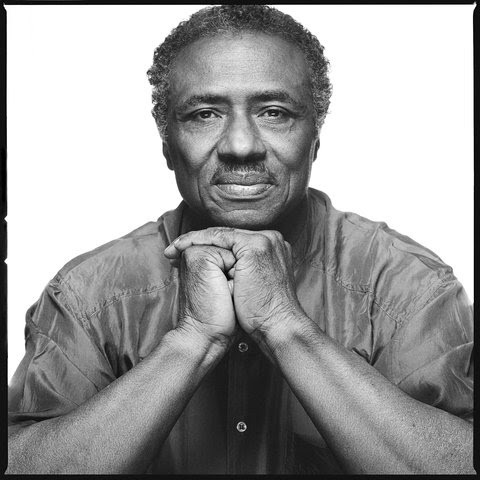 Political prisoner Herman Bell’s next parole attempt will be taking place in February 2018. As you probably all know, it’s been a difficult fall for Herman, as he was assaulted viciously by guards earlier this year. However, his health is recovering and he has been so deeply touched by all of the support that he was showered with from all of you. And of course beating the charges was such an incredible win!Because of the tremendous support Herman received behind the assault, and because activists in New York recently succeeded in having the worst parole commissions removed from the parole board in NY state, and new parole commissioners appointed in their place, many of us feel this 8th time will be his best chance yet of finally getting out of prison, after four-and-a-half decades. We’re all most certainly going to put forward our very best efforts toward this goal. A pdf packet is linked to here containing information re: parole-support letters for Herman. The due date for all letters is December 15, 2017. The address of where to send the letters is in the attachment. All of the information contained in the attached documents can also be found on Herman’s website, on the Parole Efforts tab (freehermanbell.org). We are trying to focus on getting letters from “influential” people, on getting letter from people who have met or corresponded with Herman, and having as many letters as possible on professional letterhead. Also, ideally letters would be mailed rather than emailed. This is an important initiative; Herman has spent most of his life behind bars, a result of the U.S. government’s war against the Black Liberation Movement. It is time we got him out! Looking at the U.S. White Working Class Historically tackles one of the supreme issues for our movement, the contradiction embodied in the term “white working class.” On the one hand there is the class designation that should imply, along with all other workers of the world, a fundamental role in the overthrow of capitalism. On the other hand, there is the identification of being part of a (“white”) oppressor nation. Gilbert seeks to understand the origins of this contradiction, its historical development, as well as possibilities to weaken and ultimately transform the situation. In other words, how can people organize a break with white supremacy and foster solidarity with the struggles of people of color, both within the United States and around the world? This new edition contains all the material from previous versions (including an essay by J. Sakai), along with a new introduction, Gilbert’s take on the election of Donald Trump, and an extensive new text surveying changes in the global political order since the 1960s. 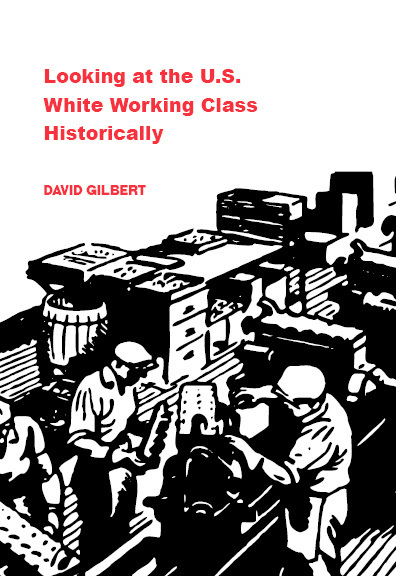 More than ever, Looking at the U.S. White Working Class Historically explores and illuminates perspectives for radical change and resistance to racism in the United States today. Around: Forty Years of Movement Building With Barbara Smith. David Gilbert, a longtime anti-racist and anti-imperialist, first became active in the Civil Rights movement in 1961. In 1965, he started the Vietnam Committee at Columbia University; in 1967 he co-authored the first Students for a Democratic Society pamphlet naming the system “imperialism”; and he was active in the Columbia strike of 1968. He later joined the Weather Underground and spent a total of 10 years underground. David has been imprisoned in New York State since October 20th, 1981, when a unit of the Black Liberation Army along with allied white revolutionaries tried to get funds for the struggle by robbing a Brinks truck. This tragically resulted in a shoot-out in which a Brinks guard and two police officers were killed. David is serving a sentence of 75 years (minimum) to life under New York State’s “felony murder” law, whereby all participants in a robbery, even if they are unarmed and non-shooters, are equally responsible for all deaths that occur. While in prison, he’s been a pioneer for peer education on AIDS and has continued to write and advocate against oppression. He’s been involved with the annual Certain Days Freedom for Political Prisoners Calendar since 2001 and has written two books from prison that are available from Kersplebedeb: No Surrender and Love and Struggle, as well as the pamphlet Our Commitment is to Our Communities: Mass Incarceration, Political Prisoners and Building a Movement for Community-Based Justice.